Filed to: 24 hours of Le Mans.Filed to: 24 hours of Le Mans. Both cars have safely made it to our overnight stop, despite some French toll drama. But holy crap the A8 is miserly on fuel. To put it in perspective, we went 900 kilometers today. 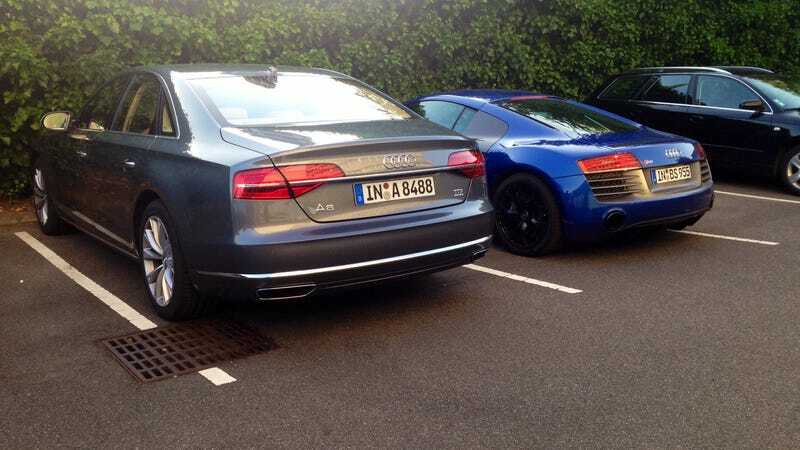 The R8 used three tanks of fuel. The A8 didn't actually use a whole tank. That's craziness. I drove the A8 for this leg. Pro: it was lovely and super comfy. Con: It wasn't a V10 monster. Now, time for food and sleep. Tomorrow, time for Le Mans.